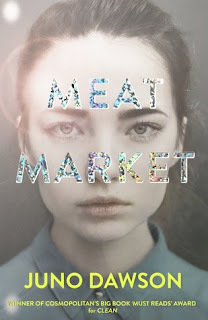 Teri Terry is one of my all time favourite authors so when I heard she was going to be taking part in University of Central Lancashire BA in Publishing's Northern Young Adult Literature Festival I squealed and practically begged to interview her. Then proceeded to have a fan-girl induced brain blank and take ages to come up with questions. Interviewing your faves is HARD. Can you describe the Dark Matter series in five words? Well, OK; I’ll try... Do hyphenated words count as one or two? Your books always feature strong characters who break the mold - what inspires you to write them? Characters with many layers interest me the most. No one is really all good or all evil; it’s the things the good ones do wrong and the bad ones do right that make them interesting. Dark Matter takes us on a fraught tour around the North of the UK - where is your favorite place up North? I did meet my husband-to-be in Sedburgh, so that’s got to be on the list. I also love York, and have good friends in Newcastle and near Lincoln. The Isle of Skye and Edinburgh and Stirling and the Lake of Menteith and SO MANY lochs in Scotland are on my list also. There’s nothing I like better than writing by water. Which of your characters would you most like to sit down and have a cuppa with? Xander. Can he really be all the things he is and people still find him so... Irresistible? I’m still curious about him. Do you think that you would be able to survive the pandemic? Would you be immune or a survivor (or would you die)? Hmmm... 82% pantser – 18% planner. Ish. What is your favourite thing about writing? Making things up in my pyjamas! With a cup of tea, under a blanket, with my puppy next to me occasionally attacking my laptop. Finally, what are you working on now? What can we expect from you in the future? 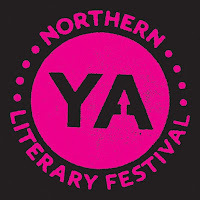 University of Central Lancashire, in association with their new BA in Publishing, are hosting The Northern Young Adult Literature Festival on Saturday 24th March 2018 at 53 Degrees in Preston. Doors open at 10am, with the events staggered throughout the day. Best of all, it's free! Terri Terry will be in the Getting into Publishing panel with Danny Weston and Anna Day, talking about how they got published, their inspirations and themes and issues in current publishing. These authors, and others, will be signing books after the panel. I love this. It must have been fantastic interviewing one of your faves! Great post! You guys seemed to have had fun doing this! Great interview Cora. That answer about the cats has me even more intrigued for the next book.